No single performer has ever won two performing awards in the same year. There have been a total of eleven performers who are double nominees - that means that they have received two acting nominations in the same year. Three were actors and eight were actresses (wins are marked with *). 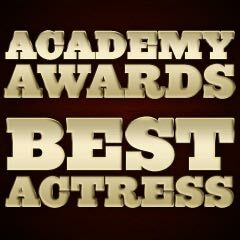 (See the Best Supporting Actor and Best Supporting Actress pages for further information on double nominees.) Of the 11 performers (actors and actresses) who've been recognized with nods for two performances in the same year, seven of them ended up winning one of the trophies.